Just picked up the Model 12 16ga that I had on lay-by at Gander. I am going to refinish the stock with an old fashioned rubbed finish. I just took the stock off, and am totally impressed with the quality of wood that was put on the stocks in the old days. I checked the date of the Model 12, and it was made in 1939. The walnut that was used on the stock is a very dark, pure looking wood that will be a pleasure to sand and finish. I'll sand it down to where I want it, then keep wetting the wood, keep resanding until the grain doesn't come up anymore. Then, I will rub with rotten stone, linseed oil, and another penetrating oil, until I get the old rubbed look that I want. 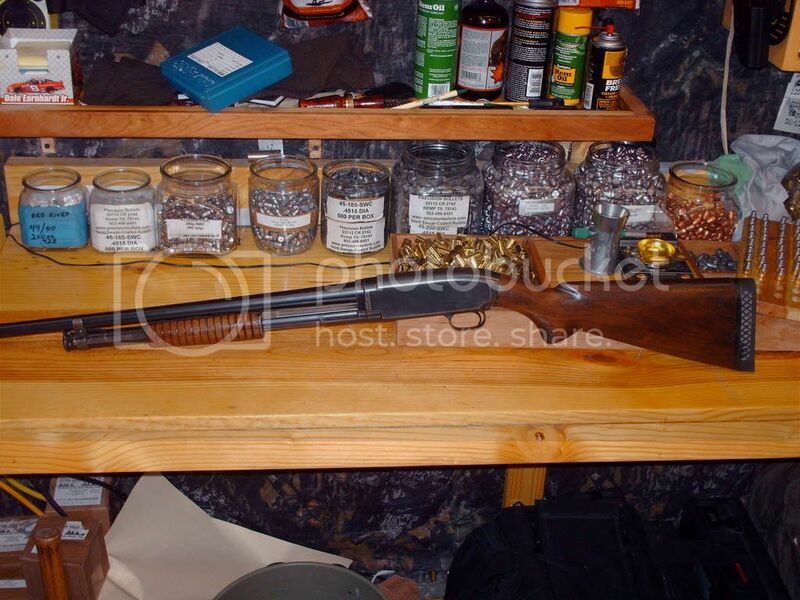 The blue on the barrel is in good shape, but where the hunters carried it on the receiver, the blue is all gone. I will leave it just like it is, so as to show the character of this fine old shotgun. I have a hand rubbed stock on my 3006. My dad used boiled linseed oil and lots of time to make it look just right. It has held up for the last 48 years with not so much as a touch up. I just finished it, and have it back together. I'll try to post some pics. later. It sure is nice fitting a recoil pad with the stock off, and able to sand, and so the pad fits perfectly. I used dark walnut Watco oil, along with boiled linseed oil. The gun looks good, and I believe still has the old character that a Model 12 is known for.